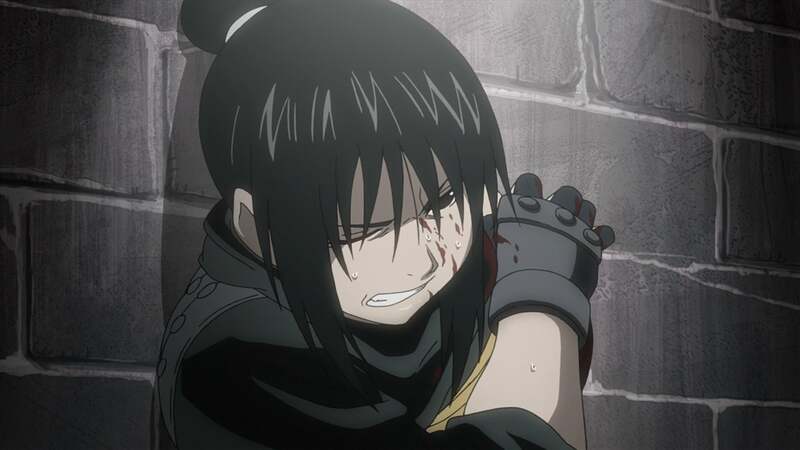 Ed leaves Winry in the custody of the military to catch up with Al. Meanwhile, as Bradley continues to chase after Ling and Lan Fan, Gluttony goes after Scar. As Ed rejoins Al in his fight against Scar, Gluttony arrives on the scene. Ling then joins the fight, and is able to capture Gluttony by using his regenerative ability against him. Lan Fan manages to escape Bradley by cutting off her disabled arm to throw off her blood trail. Riza arrives and drives off with Ling and Gluttony, keeping it secret from the military. As Ed and Al are about to apprehend Scar, they are stopped by May Chang, who uses her alchemy to escape with him. However, Ed and Al manage to take custody of her panda, Xiao Mei. As they arrive back at HQ, they tell Winry everything. She feels depressed, believing all she can do is wait, but feels better when she receives a call from her customers back in Rush Valley. As she goes on the train back, Winry thinks she may be in love with Ed. Ed and Al later join up with the others at a hideout, where Lan Fan’s wounds are treated. Ling reveals to Ed, Al and Roy that Bradley is a Homunculus. When Gluttony hears mention of Roy, the one who killed Lust, he transforms and blows the corner off the hideout.